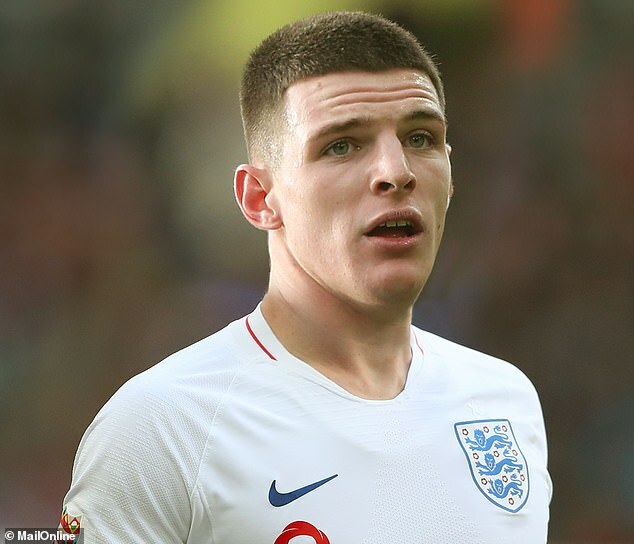 Having taken what seems like an age, West Ham midfielder Declan Rice has finally pledged his international future to England, Rice has won three senior Republic of Ireland caps, all in friendlies, having played for his grandparents' country ever since he was a youngster. In August the London born central defender said he needed time to decide his future, as winning a competitive cap for the Republic would have tied him to that country. "This has been an extremely difficult decision," he said. In a long statement on Twitter, he said: "I consider myself to be of mixed nationality. I have equal respect for both England and Ireland and therefore the national team I choose to represent is not a clear-cut, simple selection. "Ultimately, it is a personal decision I have made with my heart and my head, based on what I believe is best for my future." Republic of Ireland manager Mick McCarthy said: "Declan rang me today and said he has decided to give it a go with England, and I say Good luck to him." It is perhaps the measure of how 'Moore like' the affable 20 year old is that he ended his 'communication' with the following, "I would also like to make it clear that, in requesting to transfer my national team representation, I am not taking for granted a call-up to the England squad." who's position in the England team will he take, Henderson's / Alli's / Delph... really? He's not a midfielder. Fred says so. Someone break it to burkie gently. Was thinking the same dicksy! Who's nominated to break the news to him!! I was expecting a right good rant from you!! What I find amusing, is all the sanctimonious pundits. All coming out saying they can't understand his decision. Funny how all said pundits are non English. Obviously playing for Scotland, Wales and either Ireland. Don't carry the same International kudos and recognition that playing for England does. At least by the media standards. I respect whatever nationality anyone is. I also recognise whatever nationality you are. You are proud of it in whatever aspect it manifests itself in day by day. Personally I couldn't care less if the lad was a space alien. I think he's got a massive future in front of him. Agree, very balanced and less emotional than recent articles. Dont get me wrong, I think hes a very good player but the hype is getting a bit carried away. He's a top player for us and exactly what we need but... I see on occasions a centre back playing in midfield. I know I will win no fans for that comment but its just my opinion. I see him getting 10 to 20 caps for England were as in Ireland anywhere from 80 to 100. I can see his reasoning particularly as Ireland are so poor at the moment. I do hope he shows loyalty to West Ham and recalls feeling rejection from Chavski. I see he now linked with Man U, another Carrick in the making? However, the greatest accolade you give him, and I totally agree, is the ability to intercept a pass, Moore like... and where did he play... Centre Back / Sweeper, not a midfielder. The ability to intercept a pass in the modern game is crucial. This lad does better than anyone in a Claret n Blue jersey not since the late great Marc-Vivien Foé . As I also said I think DR is a very good player and .....we are lucky to have him! As he's already played for them,I can see both sides of the issue,but for now I'm more interested in what he does in a westham shirt! Only interest is in the claret n blue shirt! Just read that Dartford in my break at work!! Hey 65, it will not be perfect but its good step.